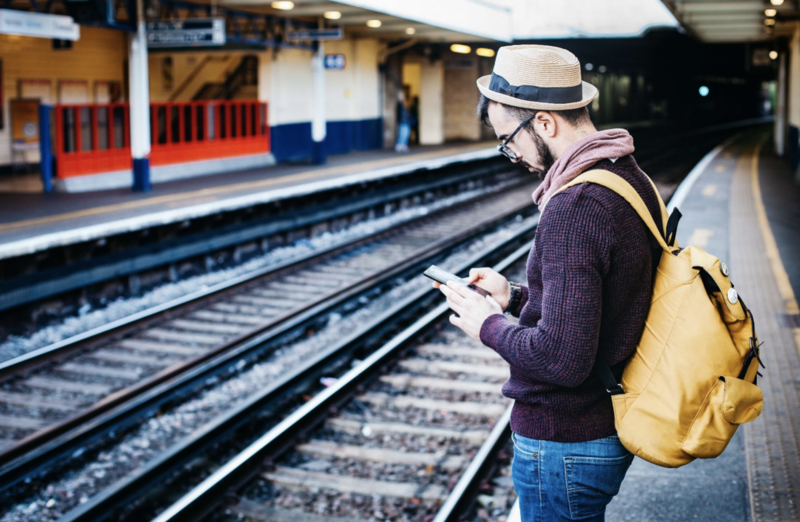 You’ve packed your bags, got a travel insurance quote, and applied for leave – but which apps should you take with you on the road? There are many travel apps which can help make a trip that much easier – but it can be hard to tell which ones are worth the space. From navigation, to booking rooms, to reading reviews – we go through the top 10 apps to take on your next vacation! Airbnb connects tourists abroad with locals who have accommodations for rent. The rented space might be a room, an apartment, an entire house, or something less conventional, like a trailer or boat. Airbnb accommodation can range from short to long-term, and has users all over the world. In some cities, Airbnb also has services for tours, events, and restaurant reservations. FLIO is an app for collecting info on airports, and comes in handy for travellers who have long layovers or delays between flights. With FLIO, you can find Wi-Fi, lounges, advice on food in or near the airport, or transit into local cities if you have time to stretch your legs. Available in the US, Canada and Australia, GasBuddy is an app to help you find petrol stations and compare them by price and distance. If you can save money by holding off on filling up until a little later on the road, this app can let you know. Even with all the trustworthy information out there for comparing flights, Google Flights is a great resource to have in your pocket. If you need to quickly check airfares on one-way, round-trip, or multi-city flights, try Google Flights. Rather than putting Maps, Calendar and Gmail on this list separately, it makes sense to just list Google Trips. The app collates information from all of these other services, and is able to suggest new destinations based on the data you provide. Hopper is a useful app for knowing exactly when to book flights. The app is valuable due to its extensive scope; it can provide data to tourists on dates where prices are expected to go up, or expected to drop. You can make purchases quickly through the app too – for a small fee of a few dollars. Making last-minute hotel bookings can be extremely stressful. Hotel Tonight is an app that helps tourists caught out without accommodation – it sells same-day hotel rooms, and usually at fairly large discounts. It has options to book in advance, but all the best deals on the app are always for the night you make them. A simple and straightforward app – iExit displays notable sites near highway exits. Whether you want to get off the highway to find an ATM, a gas station, a particular restaurant chain or other franchise – you can tag any of these, and the app will alert you if one is approaching. Lonely Planet has a wealth of travel advice, and offers services for booking events and tours through third parties, but it has to be mentioned that the photography is excellent. It’s worth browsing the app just to get inspiration for places to go and things to see. TripAdvisor is an app with very detailed reviews of hotels, restaurants, and many other tourist attractions. It can be a useful app for tourists as all of the information is from the perspective of other users. It’s large, and constantly active, user base makes it an excellent asset to any travel plan. There’s no App for Accidents! No matter what travel apps you take with you, there’s always the chance that something unexpected will go wrong. To make sure you have the best travel insurance for you, talk to glimp today. Compare travel insurance with glimp, and enjoy your trip without worrying about what could go wrong!